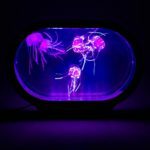 This large tank contains five realistic jellyfish with neon colours. 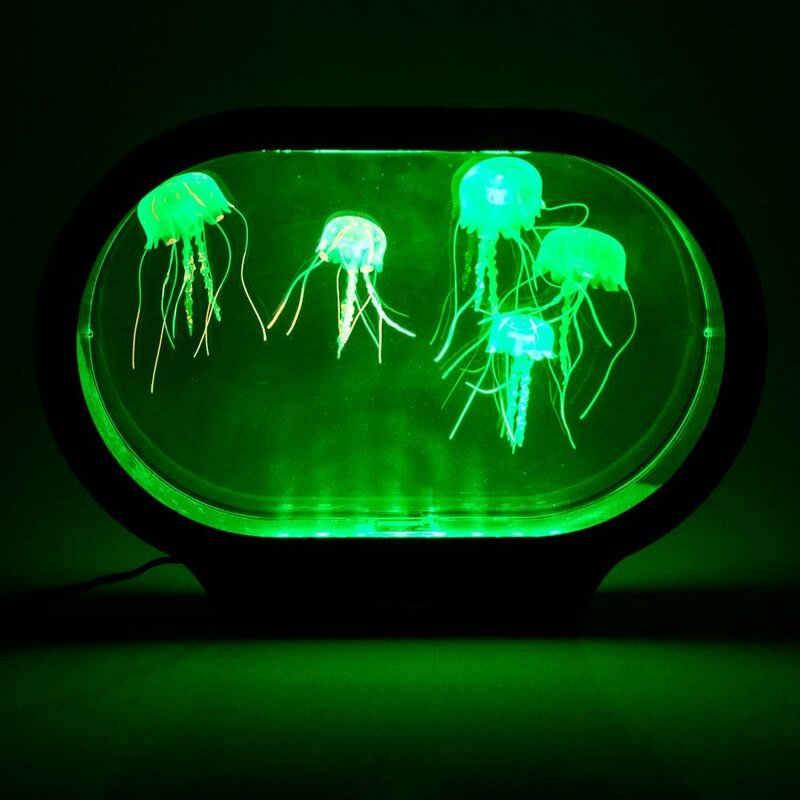 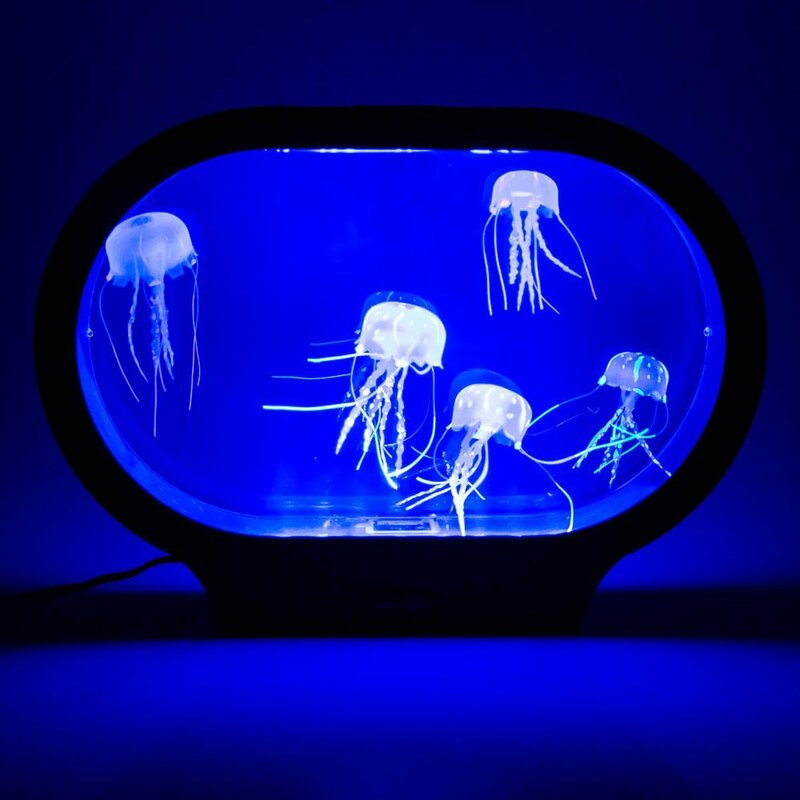 The Jellyfish tank is UK mains powered and can be set to one colour or to colour phasing. 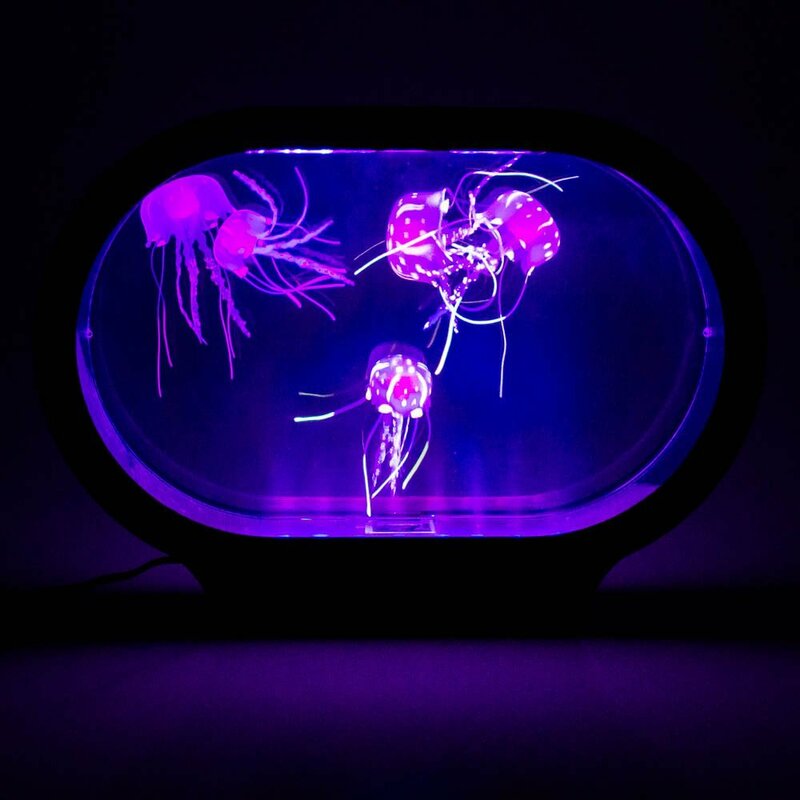 Set the mood with the lighting from the tank or use as a comforting night light. 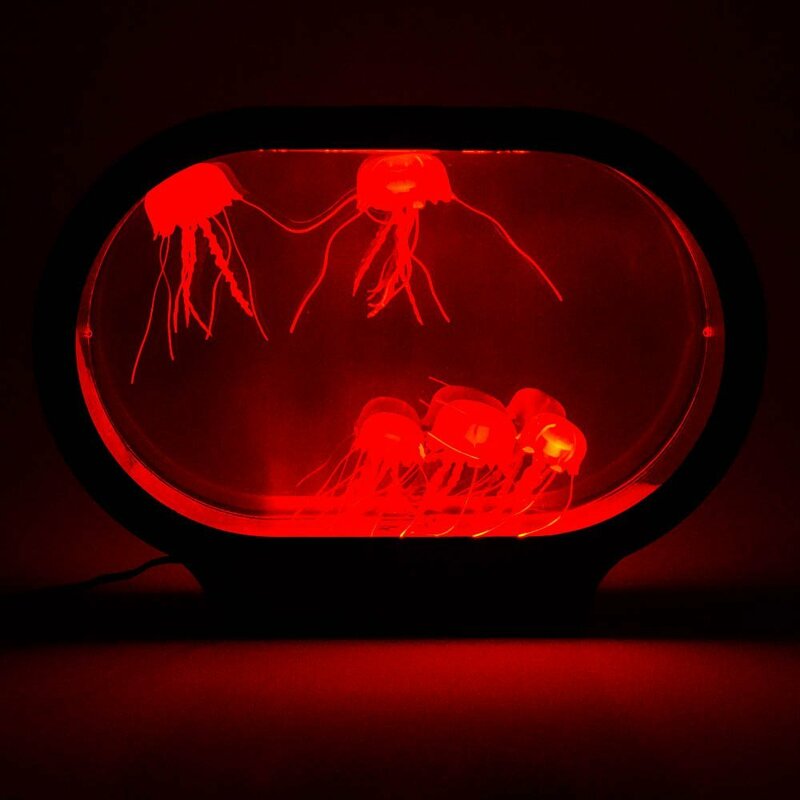 The Jelly fish lamp is approximately 36 x 12 x 13 cm.